Imagine this scenario: It’s the middle of the night, and you’re asleep. You’re awakened by the sound of your daughter crying in her bedroom, so you get out of bed to check on her. As you’re shuffling down the dark hallway toward her room half-awake, you slip on one of her toys and fall awkwardly. After an ambulance ride to the emergency room, an MRI shows that you’ve torn multiple knee ligaments. You’ll need surgery and months of physical therapy before your knee will be back to normal. A rigid knee brace will prevent you from chasing after your kids. It’ll be a long time before you can drive them anywhere, either. What are you going to do? Your husband only has a few days of paid time off left this year, and he can’t stay home unpaid to watch the kids for weeks. Child care costs a fortune. Plus, how are you going to transport your older kids to or from school until you can drive again? This is the stressful scenario that a stay-at-home mom would have to deal with if she were seriously injured or too ill to perform her duties around the home. It is also the type of scenario for which disability insurance was designed to help protect. So, what does disability insurance do? It pays benefits each month equal to a portion of a worker’s salary, (65 percent is a common amount). This money is intended to help you pay bills and preserve your lifestyle if you’re unable to work due to illness or injury. I know what you’re thinking. 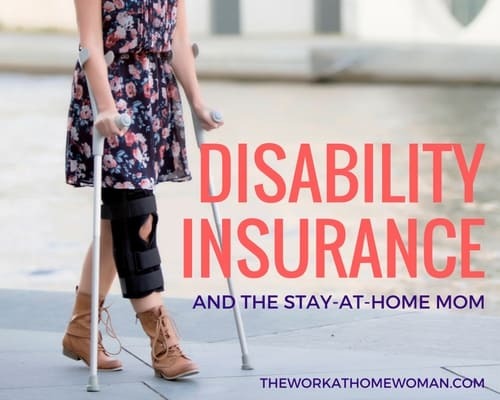 How does disability insurance work for stay-at-home moms if the benefits are based on salary? Well, one of the few companies that offer disability insurance for stay-at-home parents is brightpeak. 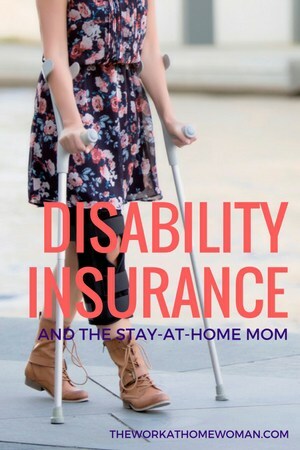 With a Disability Income Insurance policy from brightpeak, the benefit amount for a stay-at-home parent can be anywhere from $500 to $1,500 per month, to help pay for things like childcare assistance, transportation, or anything else that helps your family cope with the disabling injury or illness. brightpeak understands that even though stay-at-home parents aren’t paid a salary, they make an invaluable contribution to the household. Some people think that they don’t need disability insurance, because if they are seriously ill or injured, they can rely on family and friends to help. While it’s great to have the help of family and friends, a serious disability can be a major imposition on them. Some people might also assume that they don’t need a disability insurance policy because Social Security Disability Insurance will take care of them if they are sick or injured. Unfortunately, this is probably not the case. The Social Security Administration can take a year or more to process a disability claim. In the meantime, most of us will have used up all of our savings. So, as you can see, neither of these is options is a good substitute for disability insurance. As for the cost, disability insurance is surprisingly affordable considering the protection it offers. Click here to learn more about how Disability Income Insurance from brightpeak works, and see how affordable it can be to protect your family’s finances.